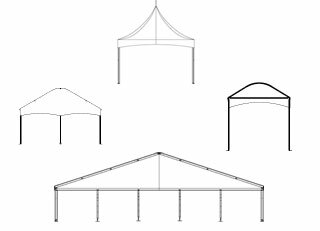 Fiesta Tents is focused on providing clients with a total experience. Loyalty, integrity and the prestige of helping our clients achieve their goals are the driving forces behind our innovative designs. We ensure the maximum safety of all our products and the optimal efficiency of our services. Fiesta Tents’ total experience is fuelled by a desire to help our clients find extraordinary solutions to all their needs. Our enduring business relationships are based on extensive experience and unwavering professionalism that offer unparalleled value to our clients. Our recent move to a 50,000-plus-square-foot building in the Greater Montreal region is a testimony to our commitment to growing our business. Thanks to our ability to deliver successful results for our clients, we have won many prestigious achievement awards for tent manufacturing and rental-related projects. At Fiesta Tents, we believe that loyalty, integrity and prestige are the key ingredients to creating imaginative solutions that will benefit your company, whatever your needs.